Number 4 in a set of 8 Australian State Badges to be released in 2018. 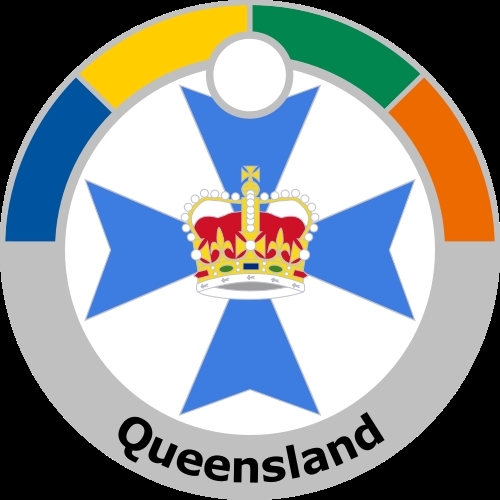 Featuring the state badge of Queensland. The badge was selected by Governor William Cairns and was officially adopted on 29 November 1876. It consists of a blue Maltese Cross bearing a Crown in the centre. 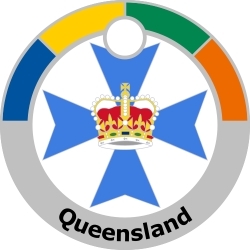 The drawing of the badge has changed over time - new crowns in 1901 and 1953, the size and shape of the cross enlarged and the shade of blue changed from the original dark blue. There is no contemporary explanation of the design but it is evident from the other designs considered that the badge was intended to represent the vice-regal authority of the Governor or to represent Queen Victoria for whom the colony had been named.